Microsoft Dynamics CRM brings your customer service experience to the next level. More than just retaining customers, you want to know what strategy should you employ to win the deal. Dynamics CRM allows you to manage your customers and accomplish more than just that – salesforce automation, customer service, project service automation, field service and social marketing. Find out how you can be the leading company in your industry below. You want to expand your business in the market. At the same time, you want high customer satisfaction so that they will return to you again and again. How do you manage new and old customers at the same time, and how do you know what strategies to employ while approaching them? We have a strong team of Microsoft Certified professionals who are highly experienced. We understand CRM at the back of our hand. 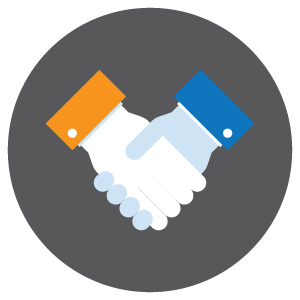 Just like you, we also value relationships with our clients and that is how we build our business. 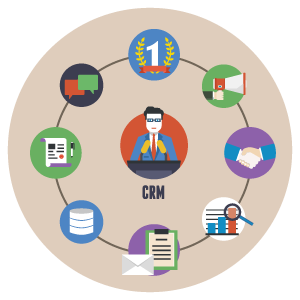 We ensure well-planned and hassle-free implementation of the CRM system in a timely manner. We provide professional training for your team to fully utilize the immense benefit of CRM and hugely increase user adoption rate. Not only that, we put in effort to understand your business industry and requirements so that we will tailor the CRM system according to your needs. Leave all the back-end work to us so that you have that extra time, manpower and resources to focus on your own clients. Let us smoothly migrate your existing data to CRM so that the moment you receive it, you have got everything covered. Service quality and relationships are what we look out for the most. Contact us now for a free enquiry session on how we can make your business even better. What is the CRM used for ? When it comes to sales, it’s all about managing your leads. Microsoft Dynamics CRM not just helps you record your data, it helps you visualize what is going on in an updated manner. With all information organized in one place, easy navigation and retrieval of information can be done in seconds. With clear graphical visualization, your salesperson knows which client to focus on, what strategies to employ for different leads, how to maintain relationships with prospects and many more. Your sales manager will have the general idea on how the team is doing and what can he/she do to push the sales and surpass the target. Delivering projects on-time, on-budget with high quality is what all of us want to achieve. But the hassle behind the scenes can be hard to handle – unable to get the right people on-board your team, issues with time tracking, coordination and communication problems… and the list goes on. Microsoft Dynamics CRM cares about your clients and aims to improve your entire project process so that smooth delivery with the best quality is ensured. It is when you deliver up-to-standard projects a satisfied customers coming back to you again and again. Find out more about Microsoft Dynamics CRM on how it can improve your work and get returning clients. Customer Service is not just about attitude, it’s also about efficiency. You need quick, detailed and accurate information to be able to respond swiftly to your customer. Before they even approach you about the problem, you have done a quick search for the solution. Service is all about the experience. To deliver intangible quality work, you need Microsoft Dynamics CRM to make the entire process smooth and error-free. You need that edge to provide the best service experience. Save time, costs, manpower and all the hassle while servicing your customer using Microsoft Dynamics CRM. Resource planning is ultra important when it comes to Field Service. You need to know which type of people with what skill sets are needed and available for the task. Yet, Field Service is different from other kinds of service. You need to know at which locations your workers are, the proximity to the clients’ site so as to provide prompt SOS service, and if they are available to handle the task with the correct skills required. You want to send the right people, you want to get the problem resolved accurately, you want to get it done on time, you want to be the best in your industry and you want a satisfied customer. Check out Microsoft Dynamics CRM to understand how you can achieve all of these. Microsoft Dynamics CRM is unlike any other customer relationship management solution – it helps you manage your customer via social media too! Integrate your social media platforms with CRM, find out what people are talking about your brand and respond appropriately; or craft out the best strategy for your next business step online. You can collect a variety of social media data in graphical visuals using Microsoft Dynamics CRM, allowing you to have a clear idea on how things are going on currently. As social media is the next big thing now, managing customer relationships online allows you to add that personal touch with your customer and creates bonding with your brand.